I approached this one with caution and skepticism. Invariably these kind of 'best of' books are so subjective as to be one step up from vanity projects, overly weighted to recent movies and suffering from unforgivable exclusions. But Gerani has created a list that had me nodding my head at almost every page. Almost every pick and its ranking made sense. These aren't necessarily the 100 best horror films, but Gerani makes a good argument for them being the most important ones. OK, no true genre fan could pick up a book like this without at least a couple fierce nit-picks. The author justifies the absence of John Carpenter's The Thing because it will be in his planned follow up Top 100 Science Fiction Movies. I would quibble that while yes, Romero's original Night of the Living Dead certainly belongs on the list, the original Dawn of the Dead does too. 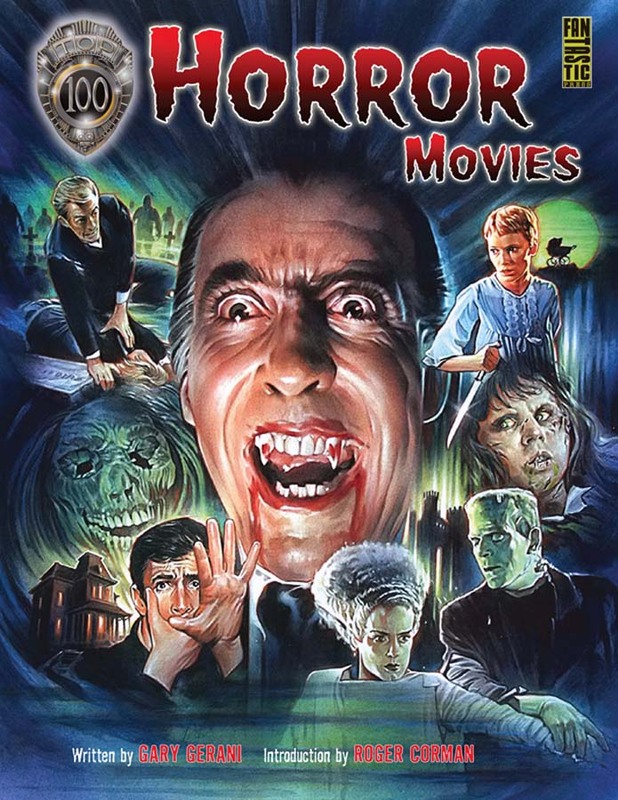 It's the platonic ideal and all time classic of the zombie genre and any list of great horror movies has to include it. Plus if you're going with a Tim Burton film, I would pick the Hammer Horror worshiping Sleepy Hollow, a more artistically successful and quintessential horror film than the entertainingly gory but overly stylized musical Sweeney Todd. 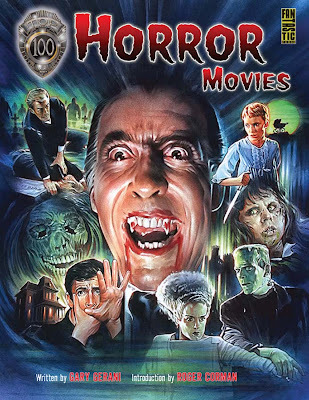 The production is excellent and while the art selected will be familiar to any fan of Famous Monsters of Film Land or indeed any genre productions its an atmospheric graphic collection nonetheless.